Restoration is in. Old buildings have a character that cannot be duplicated in modern construction. Interior design brings these properties up to speed for the modern day. The result is a unique and beautiful home. Making an old building into a comfortable living space is challenging and rewarding. Armed with the right knowledge and intelligent interior design, it can result in a unique living space. The results are well worth the effort, as an historic building or a unique property renovated to be a home is a statement in the neighbourhood and also gives new life to a building which has outlasted its original purpose. This article will outline how to identify and handle some of the challenges that come with restoring an older building. When planning the renovation and interior design on an old building, check to see if it is registered as a historical property. A registered historical property will generally have restrictions in place with regards to what can be changed. Depending on what your building started out as and even though it may not be a registered property, there may still be some elements which you want to keep. For example, if you are fortunate to come across a country church, old school house, train station, or estate manor house, it is important to acknowledge the former life of the building and to maintain some of its original integrity. Research local archives, ask neighbours for copies of old photos, check title or land deeds to see if you can find out anything about the history of the building. Even a century timber frame cottage will carry some pieces of history that help to sort out how to move forward with a renovation. Often it is the exterior that carries most of the historical significance. This will allow you more freedom in renovating the home interior. If elements of the interior are either registered (very unlikely) or are of architectural importance that you would like to keep them, there is still room for updating the design. Of first importance is figuring out how to insulate the building and to update plumbing and electrical systems. Options are available that you can work with to keep the interior intact and still provide a better temperature control on the shell as well as modern electrical and plumbing systems. Your primary focus at the start of the project is to address the shell and preserve as much as possible, or as much as you want. Secondly, determine any structural issues and address either reinforcing or replacing. Most old buildings have been built with less than appropriate foundations. Make sure your foundation is solid, and that any water proofing, weeping tiles or underpinning has been done. It is sometimes necessary to have a structural engineer or a soils engineer in for further analysis to make good decisions about how to proceed. Then, investigate the interior structure for soundness and confirm all bearing points for walls and columns to ensure you know what you have to keep and what came come out. An old building does not mean you have to live in a museum. By being able to remove walls or reconfigure the spaces gives you a chance to modernize the interior and provide living spaces that are appropriate for our modern families. Check for wood rot, beams that have been compromised and replace or reinforce while you are looking at moving walls. Once you have completed your audit of the structure you can now proceed with how to compliment the traditional building with an interior of your choosing. How you want to design the interior, traditional to work with the character, modern to contrast the building or something in between is up to you. Keeping one foot in tradition, without living in the past. There is a misconception that old things were built better. The belief is that new buildings simply aren’t built to last. The reality is the other way around. Sure they don’t make them like they used to. But that’s because building standards, materials, and technologies have improved. Churches, fire halls, and schools are popular buildings to restore and transform into modern homes. Originally, many of these buildings were community built. As a result, they were built poorly. 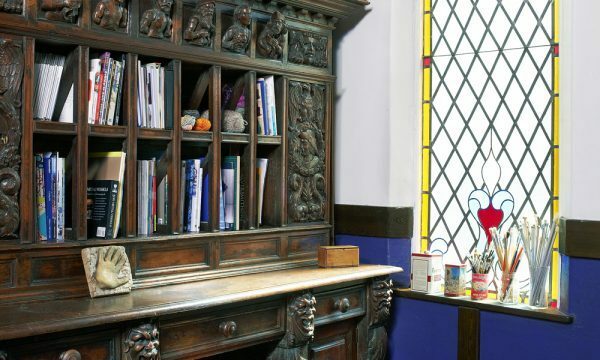 Using an interior designer to help you restore an old building allows you to focus on being sensitive to the past. Their knowledge helps you find options about how to maintain and enhance the building. You don’t want to diminish the appeal or character of the existing building. At the same time, you do want modern comforts and conveniences. The trick is in finding the right balance. One that lets you keep your feet in tradition, without living in the past. Differentiating what makes up a classic look from what was a necessity due to technological limitations can be the key here. There are loads of interior design options in an older building. Not every element needs to be kept to maintain the style and character of the property. For example, kitchens, bedrooms, and common spaces will often be opened up in the redesign. In old buildings, these were generally small spaces because of the limitations of heating technology. Rooms needed to be small so that they could be heated by fire. With modern heating systems, rooms are opened up to be more comfortable and spacious. Restoring an old building or historical property is an exciting project. 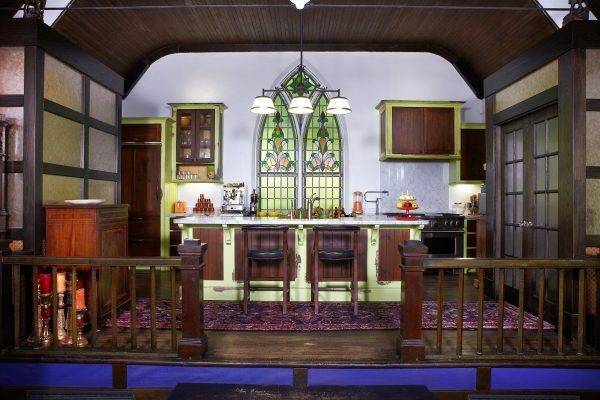 For inspiration, take a look at Hawkestone, a church redesigned into a home. It’s a great example of how the character can be preserved while incorporating modern design and technologies. 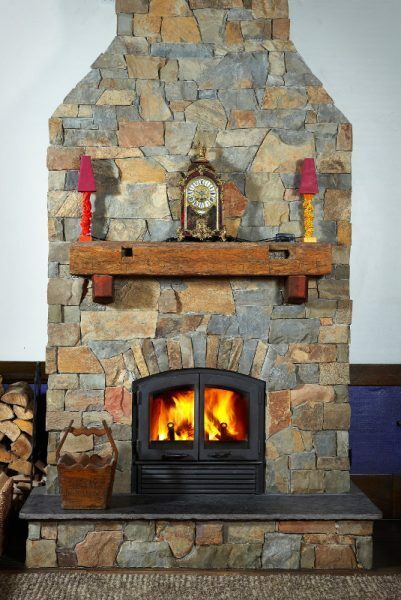 Fireplaces were required for heating old buildings.